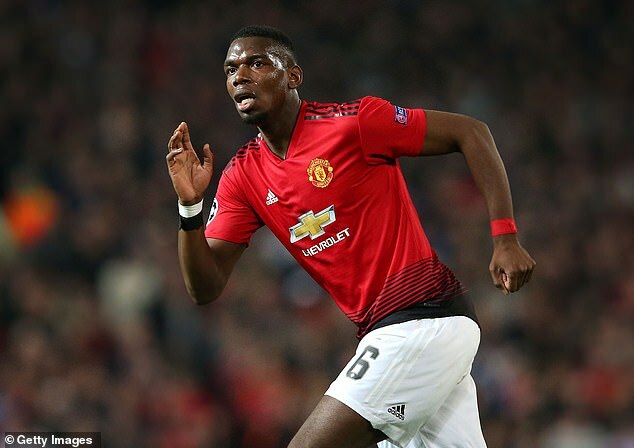 Paul Pogba believes Manchester United can hurt Barcelona as Ole Gunnar Solskjaer’s side again look to overcome an Old Trafford loss in the Champions League. Having last month recovered from a two-goal home defeat in stunning fashion at PSG, the Red Devils head to Spain next Tuesday looking to overturn a 1-0 deficit in the quarter-finals. Luke Shaw’s own goal from a Luis Suarez header was the difference at Old Trafford, where United failed to muster a shot on target but largely shackled Barca’s glut of attacking options. 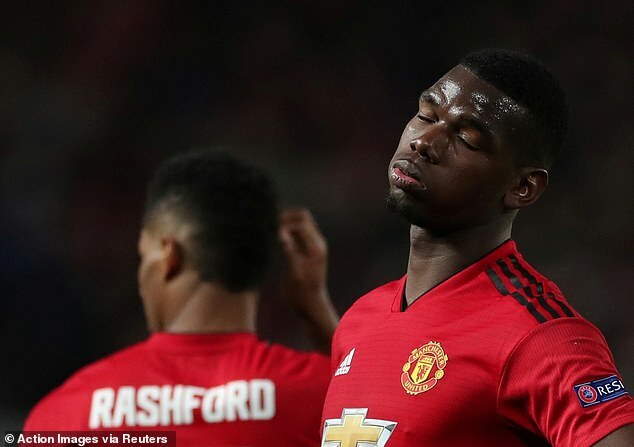 Solskjaer’s men face an uphill battle at the Nou Camp, but Pogba takes encouragement from Barcelona’s limited display at Old Trafford. ‘I think it was a good game,’ the World Cup-winning midfielder said. ‘Obviously we were playing against Barcelona, one of the best teams in the world, but we gave them some problems as well. ‘They give us them some problems, but we know where we can hurt them. Asked if he saw a team that United could beat, Pogba said: ‘Of course. If you don’t believe that you can beat them, you just let them go through. ‘Of course we believe that we can beat them. Winning at the Nou Camp will be a tough ask, but Pogba said the PSG comeback breeds positivity. ‘Probably Paris will be in their minds for sure because they saw what we can do against PSG,’ he said. ‘Obviously they will be comfortable on their own pitch but let us see. We’ll see what happens at the end. ‘I think maybe the chances that we get we have to put them in and be careful. ‘They didn’t have really a lot of chances. Maybe one when David (de Gea) made a great save but then after that they were not that dangerous, not a lot of chances.